Local Appliance Rentals hold all the aces for success and are notably proven. This complete package includes initial training on a multitude of aspects within the business model and more importantly permanent, genuine on the ground support on a daily basis. The results speak for themselves with the average franchisee owning 5 territories over time indicating the model is highly scalable. 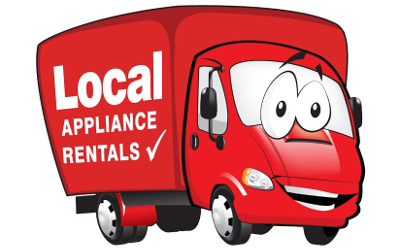 Local Appliance Rentals are looking for new energetic partners with an appetite for growth and success, who also appreciate the value of individual control over their own business and the shared ethos of ‘the harder you work, the luckier you get’. The business was originally created and subsequently well developed to say the least by CEO, Ken French in Australia who patiently built up his local rental book over 4 years until selling his active book astonishingly to his core supplier. The Local Appliance Rentals franchise was born. Australia now has over 100 franchisees and as part of an International expansion drive, franchisees are now operating in the UK, New Zealand and the States, along with current interest also in Ireland. Franchisees in the UK are doing exceptionally well which adds even more gloss to the proposition considering there are already 20 franchisees since the first appointment starting their operation in June of 2014.